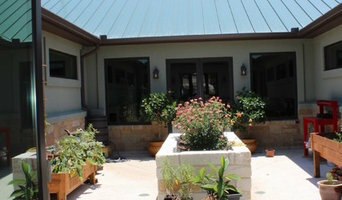 Pillar Custom Homes is one of the premier builders of green architecture in the Austin, Texas, area. We build the finest homes using only top-quality materials and the most experienced craftsmen available. Master builder Michael A. Cohen, owner of Pillar Custom Homes, personally oversees all aspects of the construction of every project. His personal involvement and attention to details reflects his pride in the homes he builds. For Michael, homebuilding is a family tradition. He is proudly following the footsteps of his father, who was a skilled woodworker and a homebuilder. “We are building homes, not just houses, and that philosophy is engrained in the custom homes we build today,” Michael makes sure that the traditional craftsmanship involved in homebuilding evolves, as he stays abreast of the latest trends, newest techniques, improved materials and state-of-the-art technology. He participates in the continuing education provided by the numerous professional associations to which he belongs. In addition, Michael has a degree in landscape architecture from Purdue University as well as a Masters Degree in Computer Science from the New York Institute of Technology. These modern-day skills combined with the roll-up-your-sleeves, hands-on homebuilding skills taught by his father, give his homebuyers the best of both worlds. You can be assured that your new home will be well designed, soundly constructed, environmentally considerate, and energy efficient. You will feel the confidence and security represented by Pillar Custom Homes. Rick O'Donnell Architect is a full service architectural firm known for the quality and diversity of its work and its ability to listen to the needs and desires of our clients. We firmly believe that good design evolves over time through a thoughtful, communicative program and process and an exploration of options between owner/client, architect and a team of talented consultants and contractors to achieve the perfect solution for each individual client. Our mission is to provide exceptional architecture demonstrating the highest level of creative design and technical skill, providing our clients a level of satisfaction that exceeds their ambitions and expectations while conducting business responsibly and with the utmost integrity. Each project is a reflection of us and of our client and is designed to accomodate the client's physical, functional, special and aesthetic needs, budget, schedule and the site's specific features. Our commitment and inspiration begins at the site but reflects the vision of our clients and the diverse architectural expressions of our widely varying products. Our projects seek to cultivate their own unique identity while sharing underlying elements of appropriate proportions, functionality, simplicity, and exceptional materials and details with an emphasis on regionlistic architecture that ties each building to its place and environment. Rick O'Donnell Architect has been featured in Luxury Magazine, Architectural West Magazine, Custom Builder Magazine and Southern Living Magazine. Nationally acclaimed Design & Construction firm building luxury custom homes in Austin & surrounding areas. Best of Houzz winner 5+ years running. Unique to our firm, our design department is in-house. This makes the process especially efficient for time-constrained clients or those building a second home in the area. Designing and building our pools and outdoor living spaces with the same attention to detail as our award-winning homes also allows for a more cohesive and inviting indoor/outdoor design. 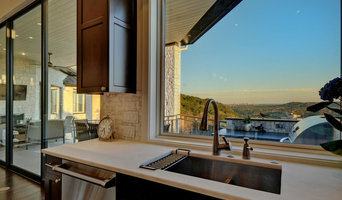 Kenwood Homes is a custom / semi custom builder in Lago Vista, Texas and the surround area on the North Shore of Lake Travis. We have several designs to suit all tastes or our team can help you design your own. Build on your lot or ours. Move in ready homes also available! Casa Sereno Homes is a small custom residential new home builder concentrating on quality, energy efficiency (Green Building) and cost control. We have achieved many awards through the Home Builder's Association for both production design and Green Building. Our philosophy of providing high quality while controlling our clients cost is what we try to live by. On each job we work with the client to see how we can achieve maximum results in the most efficient and cost saving way. 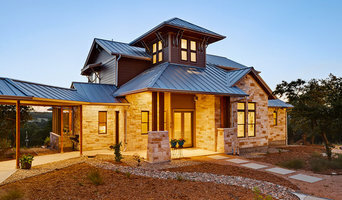 Casa Sereno Homes has been in business for 10 years serving customers from Georgetown to Dripping Springs.